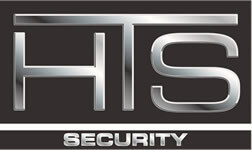 HTS Security installs and services security systems in St. Paul, MN. We service the entire Twin Cities and surrounding areas, as well as western Wisconsin. HTS offers basic to sophisticated alarm systems, camera/surveillance systems and access control. St. Paul is the capital and second-most populous city of the U.S. state of Minnesota. The city’s population at the 2010 census was 285,068. St. Paul is the county seat of Ramsey County, the smallest and most densely populated county in Minnesota. The city lies mostly on the east bank of the Mississippi River in the area surrounding its point of confluence with the Minnesota River, and adjoins Minneapolis, the state’s largest city. Known as the “Twin Cities,” these two cities form the core of Minneapolis–Saint Paul, the 16th-largest metropolitan area in the United States, with about 3.3 million residents. Founded near historic Native American settlements as a trading and transportation center, the city rose to prominence when it was named the capital of the Minnesota Territory in 1849. Though Minneapolis is better-known nationally, St. Paul contains important institutions and the state government. Regionally, the city is known for the Xcel Energy Center, home of the Minnesota Wild, and for the Science Museum of Minnesota.